If there are 50 ways to leave your lover, there should be at least that many to make avocado toast. 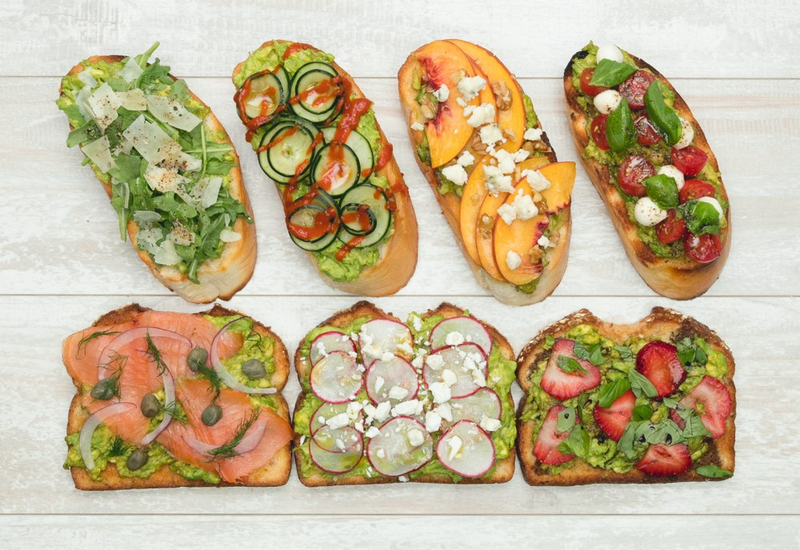 Here are 7 easy toppings for delicious, creative avocado toasts that go beyond the ordinary. The combos range from cucumber, lime, and Sriracha to lox and capers—even strawberries and balsamic because tangy fruit is delicious with rich, creamy avocados. These recipes are merely a suggestion to inspire you. Try a few and then start experimenting with your favorite ingredients. Gwyneth Paltrow has nothing on you! You can also switch up the bread for the avocado toasts. Try the lox and capers on pumpernickel; the Caprese on semolina bread; or the radish and goat cheese on a baguette. Per Serving: 1855 calories; 135g fat; 116.6g carbohydrates; 64g protein; 150mg cholesterol; 5067mg sodium. such a fun video! a made a couple and they were so yummy. These recipes are perfect for brunching. My friends and I literally tried each and every recipe on this list. My two favorites were the lox and the caprese. The one I was most surprised by was the strawberry-balsamic, the basil really added the wow factor for me! I served the caprese and radish & goat cheese to a group and they were loved both. Taking my avocado obsession to a whole new level. Radishes aren't exactly a favorite of mine so I was skeptical but the blend with the goat cheese is delicious. I love all of these flavor combos! The only thing missing is the fried egg topping! I've tried most of these, and my favorite is definitely the lox and capers. I always do two slices instead of one. I made the Arugula-Parmesan and Caprese-style avocado toast, both were delicious. Sometimes I run out of ideas, and I keep coming back to these recipes. I drizzled a little balsamic vinegar on the Caprese one, so good!